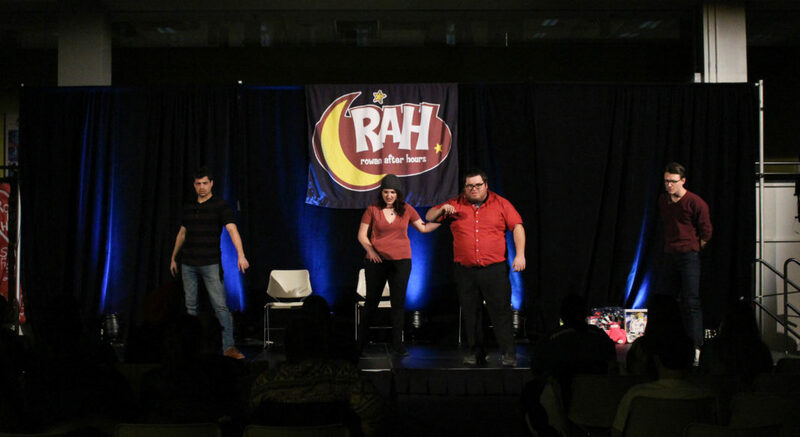 Improv group Second Place Champions, comprised partly of Rowan alumni, performed for Rowan students in the Student Center Pit on Friday night as part of Rowan After Hours (RAH). The group, based in Chicago, began as the first incarnation of Rowan’s improv club in 2009. Onstage, the four members used audience cues to act out absurdist scenarios, each performer competing against each other to take home the title of audience favorite. Grande, a 2010 radio, television and film graduate, believes that his time at Rowan University made a large impact on his trajectory as a professional comedian. Grande cited improv club co-founder and Rowan theatre graduate Tyler Garamella as someone who has supported him in his comedic endeavors. During one skit, two of the performers pretended to be “living mannequins” while audience members posed them according to improvised plot points; in another, a scene set in Tokyo involved a used underwear vending machine. This was performed “normally” once, and then in various movie genres (including film noir, Disney and slasher rom-com) over subsequent iterations of the same scene. Another involved acting out a family drama while impersonating various characters, including Spongebob Squarepants, Tommy Wiseau and an aroused Nicolas Cage. Many skits used audience members as inspiration. Other members of the audience who entered the performance more skeptical about improv left with a newfound appreciation for the art form. The Second Place Champions troupe performs regularly on Friday and Saturday nights. “If anyone is ever in New York or Chicago, we do a show called ‘Batsu,’ which is a Japanese game show where if we’re not funny, we get punished with shock collars,” Grande said. 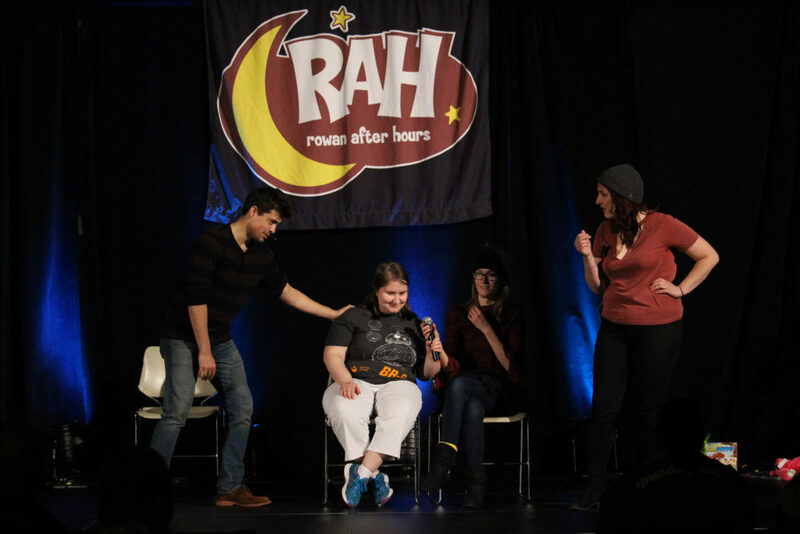 If either of those destinations seems inaccessible, the Rowan University improv club is hosting an improv show closer to home on Feb. 17 in the Studio Theatre in Bunce Hall. Featured image by Amanda Palma. Next articleWhat is your theme song?